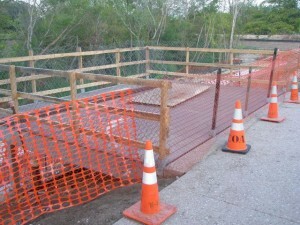 Here is a photo of a walkway recently added to the Great Northern detention project as a part of the improvements. 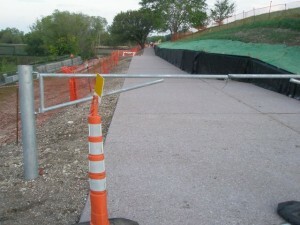 The entrance to the Far West bridge over MoPac from Shoal Creek is closed but people can still enter using this new walkway. Half way up is what looks to be an small overlook area. Assuming it will include a bench when finished, it should be a nice place to hang out and enjoy the outdoors.